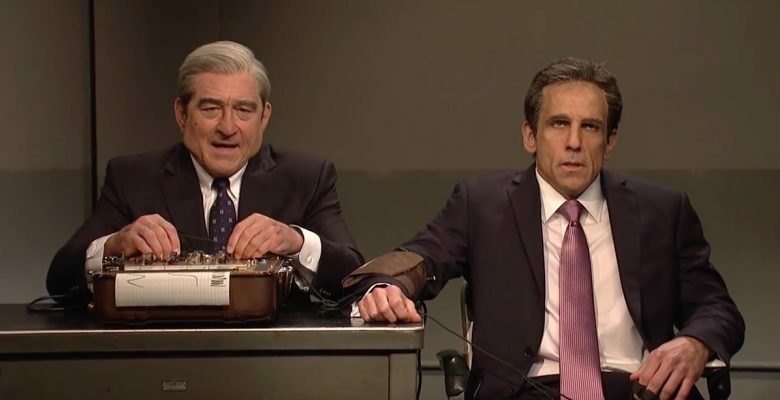 NBC’s Saturday Night Live program yesterday did a send up of the Donald Trump–Michael Cohen–Stormy Daniels-hush money affair as its first sketch of the night. 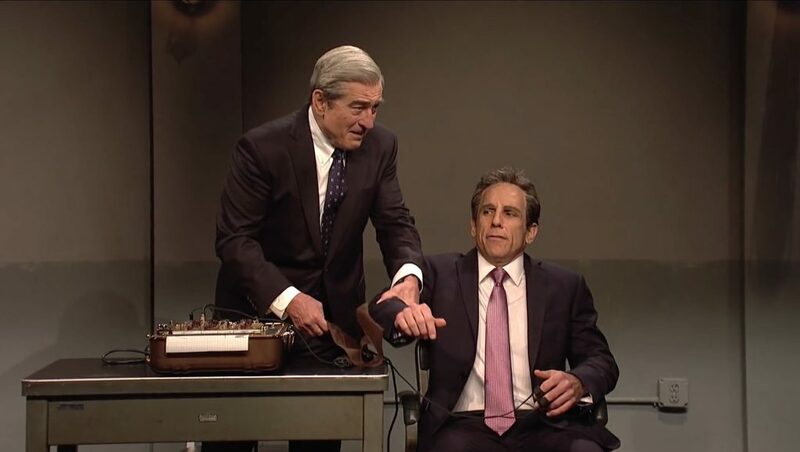 Guest star Robert De Niro played special counsel Robert Mueller, who conducted a lie-detector exam of Trump personal lawyer Michael Cohen, (a jittery Ben Stiller). As readers may recall, in the film Meet the Parents, De Niro’s ex-CIA operative put his daughter’s boyfriend Greg Focker (Stiller) through a similar test. I thought the sketch was very funny. Kate was also good playing Sessions.